The world has evolved in many ways, and one of them has seen the introduction of International Cloud Printing. The world is now more aware of such issues as carbon emissions, depletion of raw materials, and overuse of energy. All over the world, there is now a demand for reduction of these problems, since they present huge risks to the environment; businesses have also taken up the challenge to reduce their carbon footprint. Normally, you would have to put up the capital you need to invest in printing hardware. These things are changing as people realize that you do not have to overspend in this manner, when you have other options. Buying the relevant piece of hardware you need for printing is not the only expense you would ordinarily have to meet. You would have to think about maintaining the hardware, employee training the underlying software and other related systems. Therefore, by the time you get the hardware, your overhead will have increased to levels that may be unsustainable for your business. Alternatively, by making use of international cloud printing, you reduce overhead thus saving on time and finances. You are then able to manage your resources better. 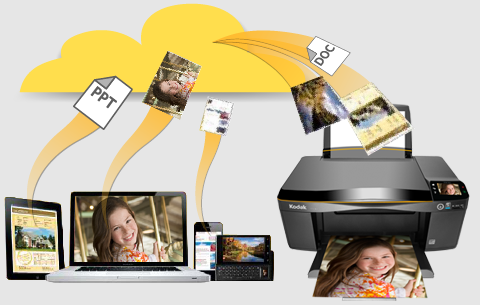 Cloud printing is changing publishing and printing as you have known it. International cloud printing has helped different industries in a number of ways. Through this kind of service, clients can now connect different aspects of their operations with ease. You do not need to be physically present in the office in order to print important documents. Cloud printing ensures that you send the documents for printing, they are printed and shipped back to you, or to wherever you want them shipped. Therefore, it eliminates all the expenses businesses used to incur in the past, in printing and sending important documents. There is no risk of wastage with this service. Most industries have already started applying various forms of cloud computing in their daily operations. This shows that they have already approved cloud computing bearing in mind that it is a useful tool for any industry or business interested in cutting down IT-related costs. Currently, close to 13% of all companies say that they have implemented cloud computing in their operations, and this includes international cloud printing. The number is projected to rise to 41% in the next three years. Using cloud printing, you can drive your business to new efficiencies and help propel its growth further. In conclusion, international cloud printing creates room for innovative ways of running modern businesses. You must choose the right provider based on its record of accomplishment in the cloud printing industry. Choosing the right solutions provider that can meet your demands and provide global service with real-time quoting is a must. If you select the right service provider, you can safely print using the cloud printing service regardless of where you are located. It quickens communication and makes it more efficient. What is VPS Cloud Hosting?